Volunteers are an essential part of maintaining and improving Hilo’s treasured cultural landscape, Lili`uokalani Gardens. The volunteer day for November is Saturday 11/18. Time is 8 a.m. to noon. Lions Clubs will work in the shaded southern corner planting ground cover at the new stone setting near the Bicentennial Garden. Clyde Yoshida is overseeing that effort. 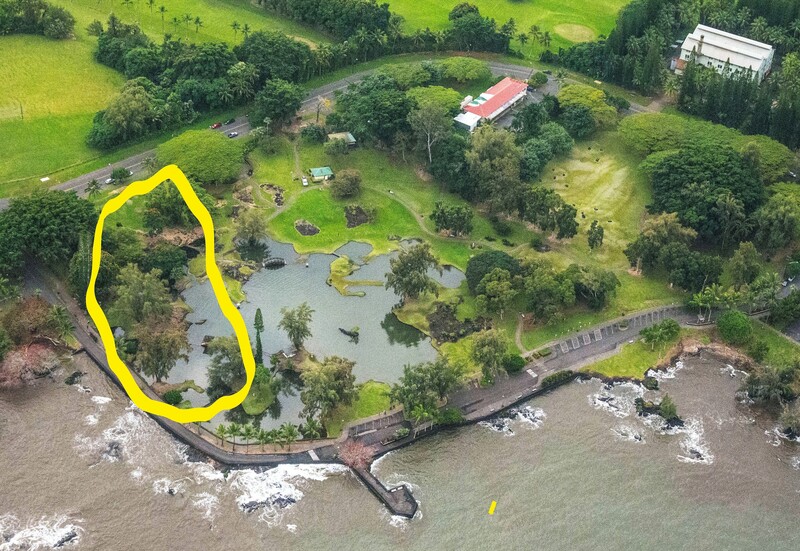 Alton Okinaka will oversee continued efforts to remove muck from Waihonu, the pond at the heart of Lili`uokalani Gardens. Much of the muck was deposited in the pond by the 1960 tsunami. More than 2,650 gallons were removed in the past year and were given to a nearby farm. Please wear gardening clothes and closed toe shoes. A few pairs of gloves are on hand, but if you have gloves, please bring them. Contact Alton Okinaka with any questions: Alton Okinaka <alton@hawaii.edu> or (808) 383-4917. Refreshments and lunch will be served to all volunteers. Lili`uokalani Gardens is composed of four parks in the Waiakea peninsula: Rakuen, Isles, Moku Ola (Coconut Island), and the 100-year-old Japanese-style landscape known to old timers as Nihon Koen and named in honor of the late Queen in 1917. The Gardens are under the care of the County of Hawaii Parks & Recreation Department, with which Friends of Lili`uokalani Gardens has a written Memorandum of Understanding. Any arrangements to rent park facilities or use the area for events such as weddings should be made directly with the County of Hawaii Parks & Recreation Department. Friends of Lili`uokalani Gardens welcome helpful comments. Scammers and spamers — don’t waste your time. All comments are moderated before posting.